On August 7, 1782, George Washington ordered the creation of the Badge of Military Merit to be awarded for bravery in battle. 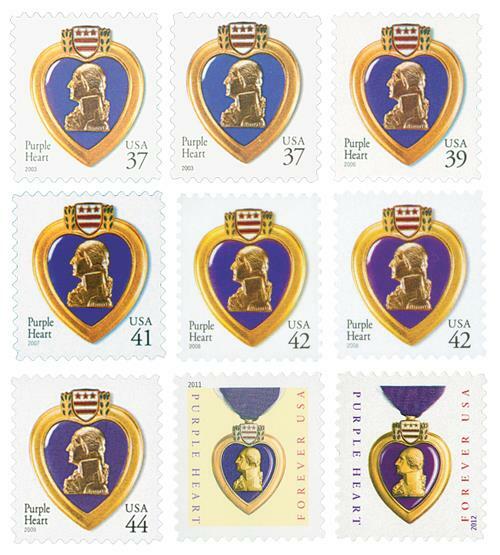 “Let it be known that he who wears the military order of the purple heart has given of his blood in the defense of his homeland and shall forever be revered by his fellow countryman,” wrote Washington in 1782, in the order that established the Badge of Military Merit. Three soldiers are known to have received the award directly from Washington, although there may be more. The names were recorded in the Book of Merit, which has since been lost. Two Connecticut men, Elijah Churchill and Daniel Bissell, received the award. Churchill led two raids against forts on Long Island, while Bissell was a spy disguised as a deserter. He operated behind enemy lines and provided Washington with key information. The third was Daniel Brown, who in the final battle at Yorktown led an attack over a thicket of sharpened spikes against a fortified position, capturing the fort in minutes. British General Cornwallis surrendered soon afterwards. The medal wasn’t used again for over a century, until after World War I. Army Chief of Staff General Charles Summerall began the process to restore the use of the Badge of Military Merit. His successor, Douglas MacArthur, continued the project, and a new design was issued in 1932, on the bicentennial of Washington’s birth. The design included an engraved profile of Washington, as well as his coat of arms. The new Purple Heart was originally awarded to Army soldiers receiving wounds in action against the enemy, or meritorious action. The current standards include any service personnel wounded or killed in action by an armed enemy, or enemy of the United States. This was ruled to include acts of terrorism.